A. There are many reasons why a financial advisor may recommend you sell your current holdings. Some benefit the advisor, but some may benefit you. Let’s look at what kinds of professionals you’re considering. When it comes to selecting a financial advisor, there are a number of questions you want to ask before making a decision, among them: Is the advisor is a fiduciary? A fiduciary is someone who puts your needs ahead of their own in terms of the decisions made investing the portfolio and the products they use, said Claudia Mott, a certified financial planner with Epona Financial Solutions in Basking Ridge. Mott said you should also learn about how the advisor is paid. “An advisor who is fee-only may charge an hourly rate for financial planning projects or a flat fee for a comprehensive financial plan,” she said. “Their compensation is based directly on the service being provided to the client and do not receive commissions or incentives from selling investment products.” Other advisors receive a percentage of assets under management (AUM) when they are engaged to manage an investment portfolio. At the end of each calendar quarter, the advisor’s management fee percentage is multiplied by the value of the investment portfolio to determine the amount that will be deducted from the client’s account, Mott said. “If the portfolio loses value, the advisor is paid less and the reverse is true if the portfolio gains in value,” she said. “Fee-only advisors perform this service for their clients and the calculation is used by other types of advisors as well.” By contrast, when an advisor who is investing on behalf of a client is paid commissions, they will earn money whenever they place a buy or sell order regardless of the value of the portfolio, Mott said. Advisors who are paid commissions are often referred to as stock brokers. She said advisors can also earn commissions when they sell insurance and annuities contracts. “The amount of commission earned will vary depending on the premium paid for an insurance policy or the surrender period and type of contract for an annuity,” she said. Although not typically labeled a commission, some advisors earn fees when they purchase mutual funds for clients that carry an up-front load. When the purchase is made, a percentage is deducted off the top for the advisor and the remaining value is placed in the client’s account, she said. For example, if you buy $1,000 worth of a mutual fund with a 5 percent load, only $950 will be placed in your account and the remainder is the fee received by the advisor. 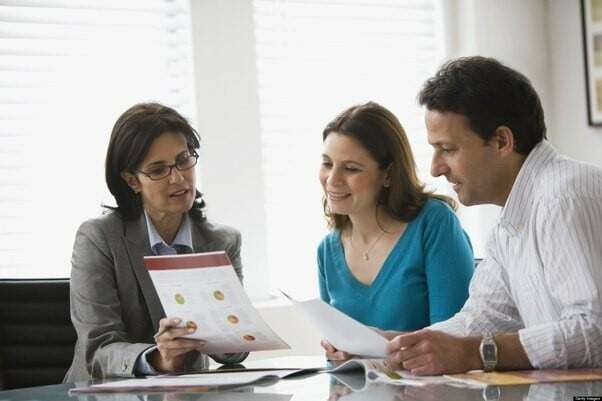 It is also important to know what the term “fee-based” means when it comes to financial advisors because the term is often confused with the term “fee-only.” “These individuals will often charge a percentage of AUM when managing a portfolio, and a set fee for a financial plan but may also earn a commission if they sell insurance or annuity products,” she said. Mott said when meeting with a new advisor, the advisor will review your portfolio to determine if the investments are appropriate for your risk tolerance and the goals you are trying to meet.